Lawyers are the custodians and guardians of our legal system. Your right to an attorney is embedded in the Bill of Rights, and the ability to pursue justice through the legal process is your fundamental right as an American. When your attorney acts negligently and fails to represent you with a reasonable standard of care, the consequences for you and your family can be devastating. At Lewis Kuhn Swan PC, we know that the practice of law is not a business, it is a public trust. When people are at their most vulnerable, they must depend entirely on a lawyer for help, often without the ability to assess the quality of the lawyer's work. If you’ve suffered because of a previous attorney’s negligent representation, please call Lewis Kuhn Swan PC today at 719-694-3000 to discuss your case for free. We help legal malpractice victims from Colorado Springs, Pueblo, Castle Rock, and nearby areas of Colorado. These are just some of the ways a lawyer may exhibit negligence in your case. Our experienced legal malpractice lawyers understand how to determine whether or not your previous lawyer provided a reasonable standard of care. 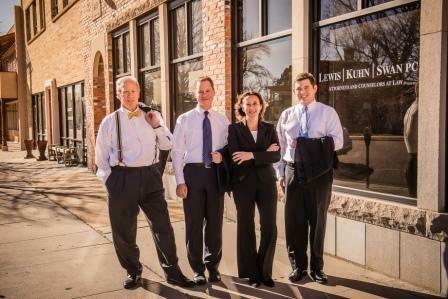 The attorneys at Lewis Kuhn Swan PC take cases of legal malpractice personally. When members of our profession breach their duty to their clients, we concentrate on holding them accountable and righting their wrongs. Lawyers and law firms must adhere to strict ethical standards. You should reasonably expect that your attorney will provide appropriate advice and legal counsel for a reasonable fee. However, your attorney’s fiduciary duty extends beyond billing statements. 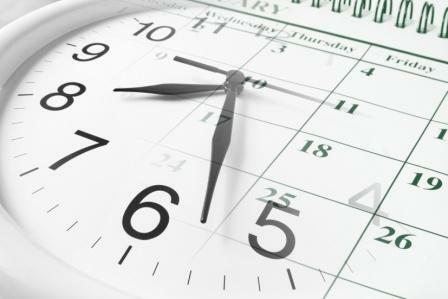 Your lawyer is responsible for the accuracy and timeliness of counsel they provide. This includes explaining the legal and financial consequences of your actions and decisions. When your lawyer breaks the bond of trust with you, he or she should be held accountable for the resulting harm. Every attorney at Lewis Kuhn Swan PC is committed to maintaining the highest ethical standards of the legal profession. We take our role as your trusted counsel to heart, and take it personally when other attorneys betray their commitment to their clients. Just as your doctor has an obligation to inform you about the benefits and risks of a certain procedure, your attorney has an obligation to advise you about the benefits and risks related to your decision or course of action. If your attorney failed to advise you properly, he or she may be liable for malpractice. In legal cases, decisions have consequences; it is the responsibility of your lawyer to explain the potential risks associated with your decisions in a way that you can clearly understand. If, for example, you asked your lawyer if you can leave your current job and start a new business that competes with your former company, your attorney must explain the possible consequences of pursuing that course of action, which may include a lawsuit by your previous employer. Legal malpractice can occur when a lawyer or law firm takes a case for which they are unqualified. Unfortunately, there may be no going back once a decision has been made based on poor advice. If your attorney was unable to advise you properly due to incompetence, you may be able to seek damages for malpractice. When you work with a lawyer, you expect that your best interests will be protected competently. Your attorney is held to professional standards and established timelines when filing claims, motions, and other documentation in your case. Lawyers deal with a wide variety of claims, many of which have different deadlines. Deadlines for filing certain claims are established by the state. Federal claims have their own timelines. If your attorney missed a crucial filing deadline, it can be detrimental to your case and you may be able to seek damages for the losses you incurred as a result of his or her negligence. Legal claims are subject to deadlines. Did your attorney meet them? Your lawyer may have missed a critical filing deadline because it differed from a deadline with which he or she is accustomed to working with in other cases. Perhaps documents were misread that identified when an event that should start the time deadline took place. Regardless, a missed deadline will typically cause a claim to be dismissed because the statute of limitations has expired. You have the right to competent legal representation. If your previous lawyer failed to meet the important deadlines in your case, call us today to discuss your situation for free. Conflicts of interest occur when an attorney has divided loyalties or when a lawyer or law firm places its own interests above the interests of the client. Attorneys are sworn to uphold the principles of dedicated representation in their clients' best interests. Often, an attorney or law firm will not be aware of a potential conflict of interest at the outset of the representation. However, attorneys must immediately disclose to the client any real, perceived, or potential conflicts of interest. They may also be required to decline or withdraw representation in the event of a conflict of interest. In any legal malpractice claim, the most challenging part of the case is proving that the outcome would have been different had the case been handled properly. This is referred to as proving the “case within a case.” This involves calculating damages by determining what they would have been if the prior attorney had not acted negligently. When plaintiffs file civil lawsuits, they are almost always pursuing some type of compensation for damages they have suffered due to another’s negligence. Although this compensation can take many forms, it is most often a monetary award. provide you with the right representation. In cases of legal malpractice, the amount of available damages depends greatly on the details of your case as well as state law. Compensation in malpractice lawsuits typically relates to the damages you would have obtained in your original case, had your lawyer not been negligent. Certain damages, such as emotional distress, are usually not a part of a legal malpractice case. Compensatory damages: This compensation covers your losses, such as a totaled car or medical expenses resulting from motor vehicle collision. If you failed to obtain the compensatory damages you deserve because of your attorney’s negligence, you may be able to recoup those losses in a legal malpractice lawsuit. 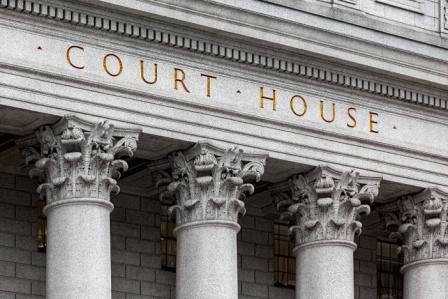 Conversely, as a defendant, you may be able to seek compensation for what you were ordered to pay a plaintiff in a civil suit if you were the victim of legal malpractice. Punitive damages: Punitive damages are sometimes awarded by the court to punish the negligent party. If you would have been awarded punitive damages in your original case if the original lawyer had not been negligent, you may be eligible for compensation in a legal malpractice claim against the negligent lawyer. Legal fees: You may also seek compensation for legal fees and other expenses associated with correcting the problems caused by a negligent lawyer. The amount of these types of damages depends on the type of work your original lawyer performed on your case and the judgment of the court. Other damages: If the legal malpractice caused you to lose property, you won’t necessarily be able to recover the lost property. But, you may be able to obtain compensation for the market value of the property you lost. To discuss your legal malpractice case now, please call Lewis Kuhn Swan PC at 719-694-3000. We proudly serve the Colorado Springs, Pueblo, and Castle Rock areas of Colorado.